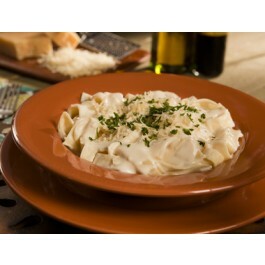 Past Alfredo with chicken is an excellent addition to any survival food storage system. Each affordable package contains two 10 ounce servings, so you’ll be able to stay well fed, no matter what type of situation you’re facing. Packed with all the vitamins, minerals and other nutrients you’ll need to stay strong and healthy, this is the perfect meal to add to your stockpile. It cooks right in the pouch by adding hot water and waiting just 12 minutes, so it is as convenient as it is delicious! If you’re ever faced with a disaster where you need to survive on the food you have stored up, you’re going to want to make sure you have a lot of different options to choose from. Adding pasta Alfredo with chicken from Wise Foods is a great way to ensure everyone can enjoy great tasting meals every day. These long term storage meals are an excellent addition to any food storage program, and since they are so affordable, you can quickly add several of them to your stockpile. Each pack contains two 10 ounce servings, which is plenty for a full meal or a great side dish. The creamy pasta Alfredo with chicken also tastes great and leaves you feeling full because of the carefully selected ingredients. Each serving has 14 grams of protein, which is essential for keeping you strong. It also has several important vitamins and minerals so you don’t become malnourished while you’re surviving on these foods. 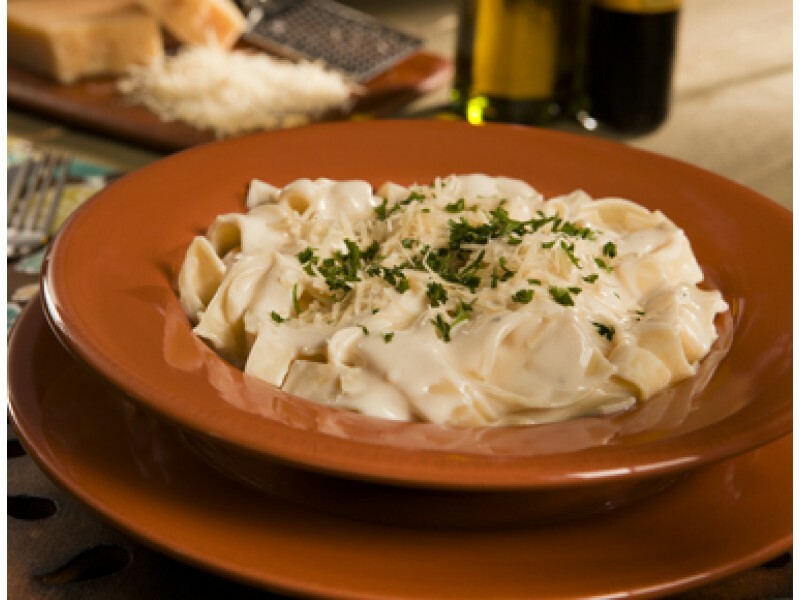 Wise Foods is a leader in creating great tasting, long lasting survival foods, and this pasta Alfredo with chicken is a prime example of what they have to offer. Adding this option to any food storage system will help provide healthy, great tasting food to you and your family for any situation. ed, Freeze Dried Chicken, Bleached Wheat Flour (Wheat Flour, Niacin, Reduced Iron, Thiamine, Mononitrate, Riboavin, Enzyme (improves Yeast Baking), Folic Acid), Partially Hydrogenated Soybean and/or Cottonseed Oil, Salt, Maltodextrin, Parmesan Flavor (Salt, Yeast Extract, Potato Maltodextrin, Coconut Oil), Hydrolyzed Soy Protein, Garlic Powder, Onion Powder, Disodium Inosinate and Disodium Guanylate, Disodium Phosphate, Natural Butter Flavor [(Maltodextrin, Natural Butter Flavor, Annatto and Turmeric (for color)], Spices, Parsley. CONTAINS: MILK, SOY, WHEAT. Cook in the pouch pasta alfredo with chicken. Just add hot water and wait 12 minutes. Then it's ready to eat!